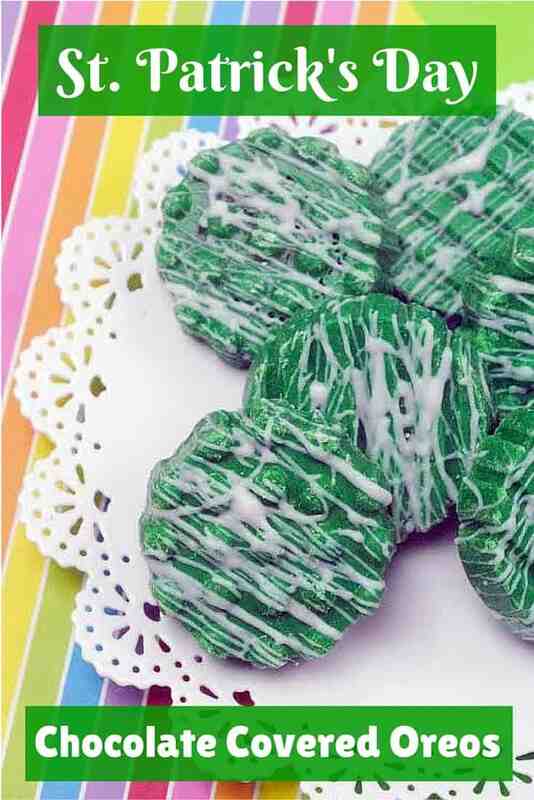 Easy to make St. Patrick's Day chocolate covered Oreos are the perfect shade of green to celebrate St. Paddy's Day this year! As you all probably know by now, I am a sucker for anything covered in chocolate. So what better St. Patrick's Day treat that chocolate covered Oreos? 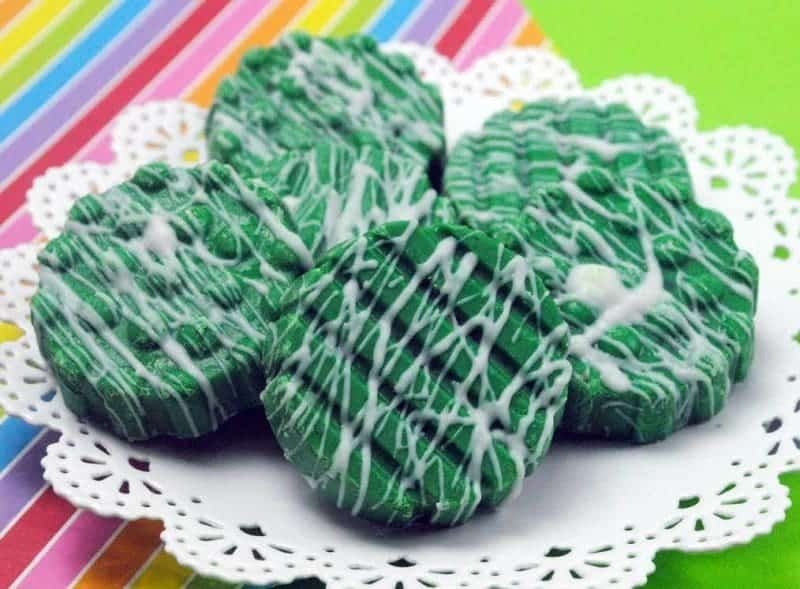 These festive green St. Patrick's Day Chocolate Covered Oreo Cookies are easy to make, and are the perfect dessert to serve at a St. Patrick's Day party. 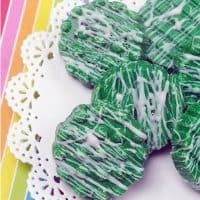 These festive green St. Patrick's Day Oreo Cookies are easy to make, and are the perfect dessert to serve at a St. Patrick's Day party. 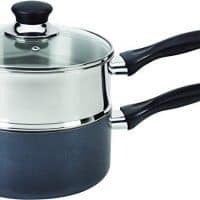 Add chocolate wafers to the top half of a double boiler. Heat water in the lower half of the double boiler over medium heat. Stir until chocolate is melted. Remove from heat. Set aside 1/4 of the melted chocolate for the white chocolate stripes. Pour a layer of the green chocolate into each of the molds (following the mold directions for the amount). While the chocolate in the mold is still warm, add 1 Oreo cookie to each mold. Pour more of the green chocolate to cover the top of the Oreo. Place mold on a cookie sheet and put in the freezer for 2 hours or until firm. Remove from freezer and gently pop the chocolate covered Oreo cookies out of the mold. Reheat the melted white chocolate if necessary. Spoon melted white chocolate into a plastic baggie or pastry bag. Drizzle the melted white chocolate on top of each of the green chocolate covered Oreo cookies. These look so great, I( know I am making them on St. Patty’s Day. Thanks so much for sharing your great recipe. Love Oreo’s. Not so much their new flavors though. Anyway, these look good and my favorite color too. Yes! Something easy enough for even me! We love Oreo’s and this looks fun and delicious! 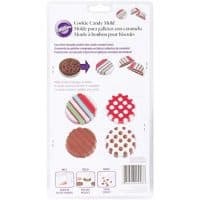 I went to a specialty store the other day and I paid too much for some oreos that looked like these.I’m gonna have to make these for my kids. My kids would love making these too, they love making sweets the most! Love these St. Patrick’s Day Oreo Cookies! Thanks for sharing…I bet that even I might be able to make them 🙂 I’m gonna try!! This looks like a delicious chocolate covered Oreo recipe. I like the idea of changing the coloring for different holidays. Cute ideas for cookies for St. Patrick’s Day! My little ones will love this! I bet these are really good, I am Irish and definitely pinning and going to make! Thank you for sharing this recipe! Using a mold is such a great idea! Less mess, less effort! These are so pretty! I plan on varying the recipe for the holidays. If I add red gel food coloring to the green, it will look perfect for Christmas! You can even draw little trees with ornaments on top.